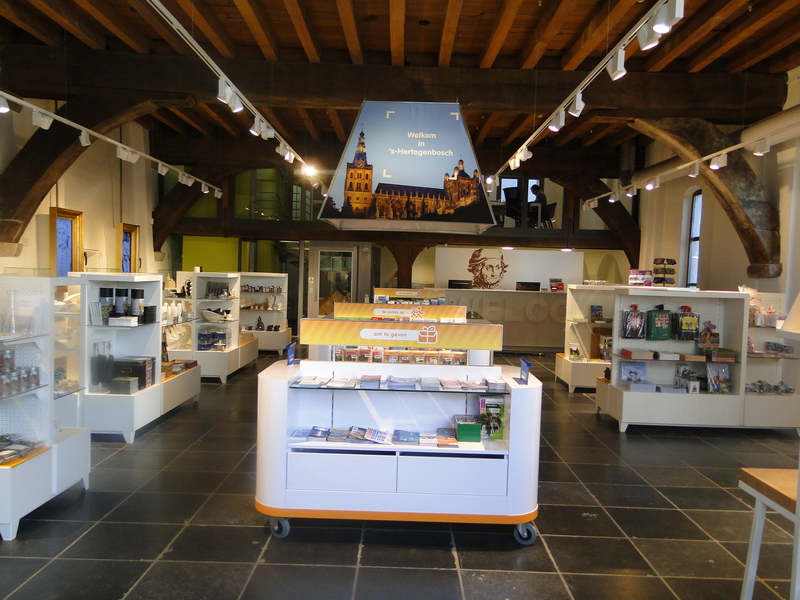 VVV ’s-Hertogenbosch (tourist visitor centre) is located at the Markt in ‘s-Hertogenbosch. At the visitor centre, our hosts will inform you about all interesting places, activitites, and events in and around our beautiful city. You can also buy souvenirs, local produce, and hiking or biking maps. 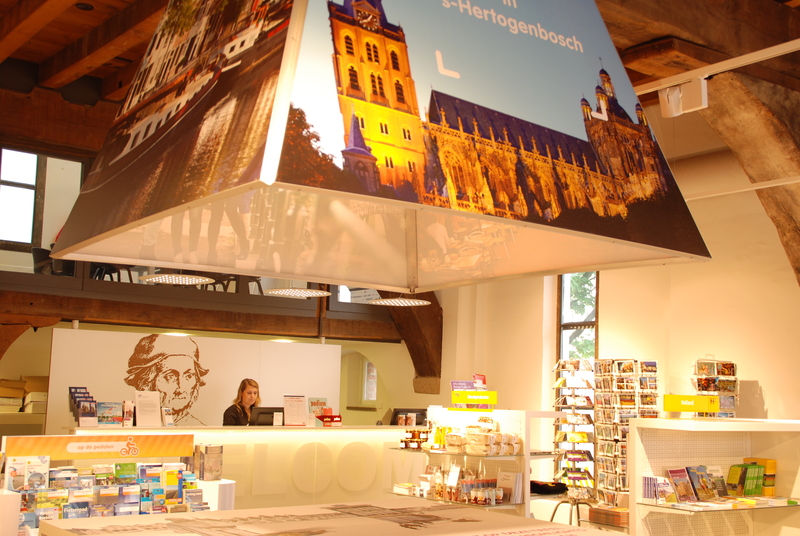 We love to help you in planning your ultimate visit to ‘s-Hertogenbosch. History of De Moriaan: De Moriaan was built in the early 13th century. Originally it is the oldest brick house of the Netherlands. The visitor centre has been located at De Moriaan since the ‘60s. Guided city walks: Every Saturday the tourist centre organises a cultural-historical city walk open to everyone interested. 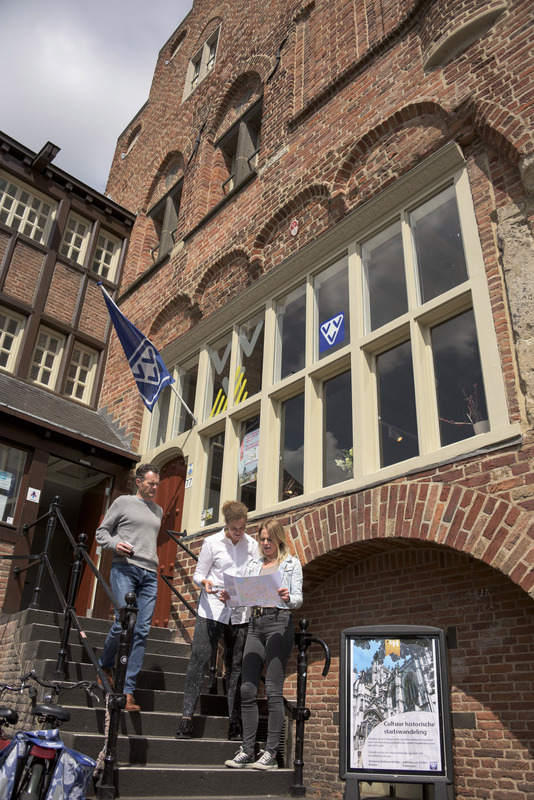 A tourist guide will take you through the century old city centre of ‘s-Hertogenbosch. You will see all important places of interest. The guide will lead you through characteristic small alleys, around beautiful squares, and past famous monuments. 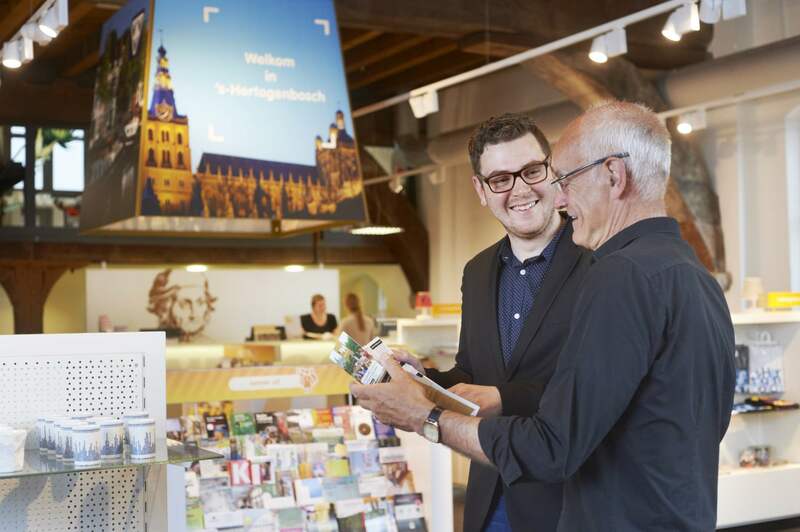 The guide will tell stories about the past and present, and will tell you all about ‘s-Hertogenbosch’ rich history. The guided walk starts at 14:30 hours, and takes around 1 hour and 15 minutes. Please note: the guided walk only takes place when 5 or more people have signed up. Signing up is possible up until 14:30 hours.